According to Network Control, it’s not uncommon for people today to get calls regarding fraudulent charges on their credit cards. In fact, it happens with such regularity that banks and credit card companies continually update their checks and measures to help protect customers from credit card fraud and reduce the risk of it happening in the first place. While credit card fraud is usually the first form of fraud to come to mind, there’s another type of fraud that brings in nearly double the annual revenue, and yet rarely makes the headlines. It’s telecom fraud, and it costs companies and consumers billions every year. A big reason telecom fraud is so prevalent and profitable is that it’s a multi-faceted business with opportunities available to thieves at every level of the telecom industry. 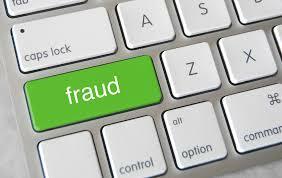 To better understand how telecom fraud evolved into the big business it is today. You have to go back and look at the last 20 years and see the evolution of technology, in particular, the explosion of the internet back in the 90s. Since the advent of the internet, the methods and devices involved in communication have exploded as well, and they all fall under the umbrella of telecom. Now, thanks to the sheer number of devices and systems used for communicating with one another — devices that are becoming harder and harder to protect — the fraudsters have a virtual playground in which to launch their schemes to get money from you and other companies. Also, when you factor in how quickly the means with which we communicate are evolving, it’s becoming tougher and tougher to stay on top of security. Think about it, who would’ve thought 20 years ago that your refrigerator would communicate with your grocery store and alert you when you’re out of milk or when avocados are on special? This type of fraud is easy, and a favorite among thieves, and it involves penetrating a private branch exchange (PBX) and taking over the services to transfer calls onto a hacker’s phone service. They then place long distance calls, and the operator can’t bill the fraudster’s phone service, which means the charge goes back to the PBX system. This is another favorite type of fraud and how it works is that hackers get stolen data, or they make up data. Once they have this data, they use it to buy telecom goods and services without paying for it. Through this technique, they can eventually get credit cards, bank accounts and lines of credit to purchase more and more things. This type of fraud involves the telecom company’s employees who abuse their positions to obtain customer account information to make uncompleted calls look completed, which gets charged or by forwarding fake calls to phone numbers to earn charges. So, as telecommunications continues to evolve, so do the means by which fraudsters can steal money. Which makes it harder for telecom expense management for the future.